Next to retail, it could be argued that travel is the hottest vertical during the holiday season. Last year, an estimated 107 million people packed their bags for the holidays. And group trips, while fun for the travelers, can be a headache for airlines, cruise lines and other travel companies. Especially those that want to determine the effectiveness of their digital marketing campaigns. 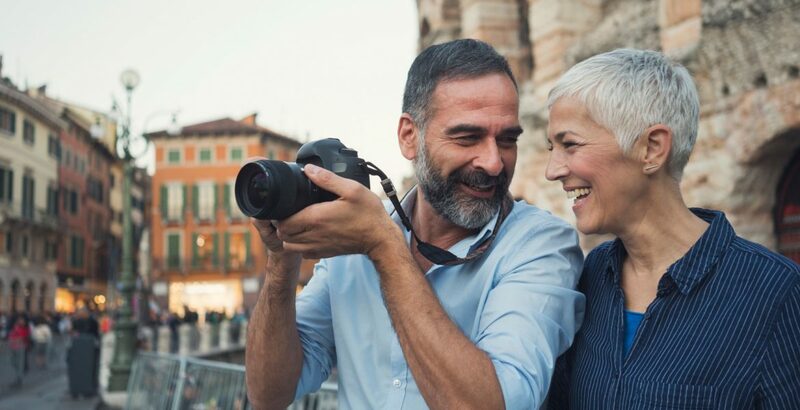 Nearly 40 percent of trips booked with our clients include at least two people on the same trip, so if you have a husband and wife planning a trip to Europe over Thanksgiving, how can an airline best understand who purchased the flight and who influenced the travel arrangements? It starts by identifying and separating the purchasers and trip influencers. Purchasers need no explanation; they are the individuals who complete a booking. Purchasers are incredibly important to a travel brand’s marketing strategy for up-sell and cross-sell opportunities. The other members of a booking are known as trip influencers; they are messaged by a brand but do not complete the transaction. Remember the husband and wife travelling to Europe? Let’s say the husband eventually purchased tickets after his wife saw a campaign for an airline and convinced him to book the tickets. In this situation, the husband is the purchaser; the wife is the trip influencer. Our numbers show that individuals on group trips spend, on average, approximately eight-plus percent more compared to a single booker. But that’s not guaranteed; you must know what to say to them first. Recognizing all the individuals on a booking and classifying them as either a purchaser or trip influencer can positively impact the value of a travel brand’s digital marketing efforts. Our numbers show that individuals on group trips spend, on average, approximately eight-plus percent more compared to a single booker. But that’s not guaranteed; you must know what to say to them first. Categorization allows brands to better know each individual traveler. Are they a business traveler, leisure traveler or both? If they’re traveling for leisure, are there activities they typically engage in while on their trip? Are they traveling with one other person or with their family? The answer to all these questions and more depends on a variety of factors, but the greater the insights, the greater the understanding of each individual traveler. In turn, a keen understanding of each person ensures travel brands avoid talking to these individuals as if they are net-new acquisition targets. Consumers that receive relevant and personalized messages have shown an increase in brand affinity and offer cruise lines, airlines and others the chance to deliver the type of upsell and cross-sell opportunities that drive revenue. Separation of purchasers and trip influencers also ensures the impact of non-purchasing trip influencers can be indirectly captured and quantified. Cruise, air and tour companies are well positioned in this regard as they have access to individual information about bookers within a group booking. Based on our past work, we’ve seen a 23+% increase of the attributed value when you’re able to measure everyone in a booking. While it may seem easier to adopt a spray-and-pray mentality when it comes to delivering digital advertising, everyone wins when travel brands distinguish purchasers and trip influencers from net new prospects. People expect advertising to be relevant and unique to their interests. In approaching personalization at the individual level, with profile data on all their trips regardless of who purchased, brands can keep travelers engaged with relevant, tailored offers and measure the full value of their digital spend.